I purchased these for my son's rehearsal dinner guests. They really added some whimsy to our table setting and were yummy to boot! They were packaged with care and survived the delivery to our home with nary a broken or damaged brownie pop. I would purchase this product again and recommend you give it a try. Super Cute, but too sweet and rich. The brownie pops were very cute and a good size, however, they were too pastey and thick....more like fudge than a brownie. I needed a glass of milk after one bite...very sweet. Big hit... Everyone loved them. Great customer service. Cutely decorated! I actually used these for favors at my son's wedding rehearsal dinner. They were cute but I would have the bride and groom in separate packages because the chocolate sometimes gets on the white of the bride. 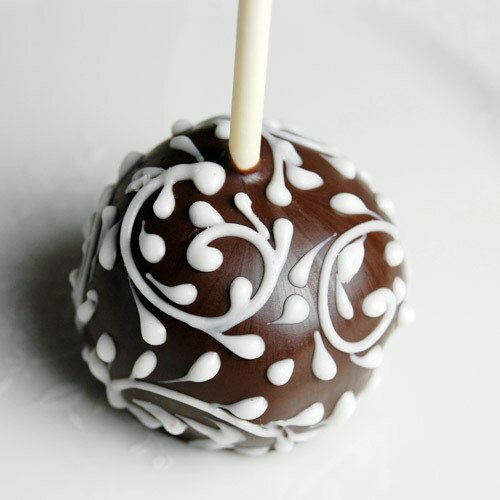 The perfect bridal shower favor and bite of dessert! These wedding brownie pops set the stage for an elegant, special bridal luncheon! In addition to being absolutely adorable, the brownie pops were delicious and just the right size for dessert! The cutest favors for wedding or rehearsal dinner ! Delicious. Loved by all. We alternated bride and groom at each place setting. Highly recommend! Great addition to a perfect event! 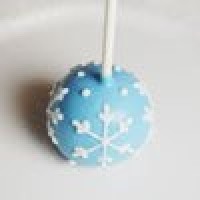 I used these brownie pops at my daughters bridal shower as the party favor. They are large in size, beautifully decorated, and nicely packaged. I ordered 3 different styles and chocolate flavors. I had them on small plates at each place setting and alternated the styles on the table. They were very rich and fudgy. They are pricey but I do believe worth the splurge! The only bad thing was that about 6 of them did not have the bowtie so I could not use them. These were much better than I imagined both on looks and taste. All my guests loved them! This is definitely NOT a calorie-counting treat...but oh-so perfect for simple wedding party "favors" if you are looking for that special treat for guests. We got the bride and groom brownie pops for a bridal shower we had for 50 people. Everybody just raved about how delicious and fresh they were! I had not wanted to spend the money on them but I have to say that not only are they adorable but they were the best in every way and were a huge hit with all. I would definitely recommend this product! They are beautifully wrapped too! 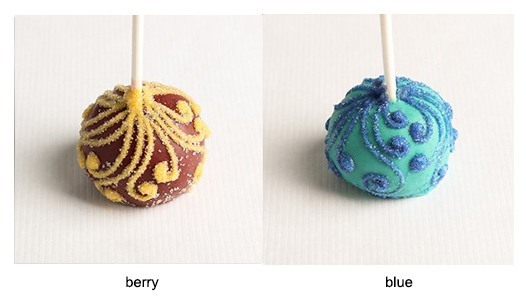 I ordered these wedding brownie pops as one of the favors for my reception and the guests absolutely loves them!! They are too adorable not too mention delish!! We had a tres chic wedding (renting our very own cupcake truck for guests to indulge after the ceremony) these brownie pops were a HIT. They are beautifully packaged however in my opinion you should order additional personalized tags. These are AWESOME AND DELICIOUS! We ordered a few dozen of these (bride & grooms only)to help make the display at the candy station we were having at the reception. They were a HUGE hit; [...] clear with a delicate white bow[...]These brownie pops added an amazing element to our candy station display, but you could definitely use these as your table favors for everyone at the wedding; They are not skimpy or small; good size and decorated perfectly like the photos. Was apprehensive about buying on line but brownie pops were exactly as described and delicious. Thank you Beau-coup. The favors are adorable!!! [...] They look exactly like the pictures and we were very pleased with our wedding favors! The only con (and this may not be a con) is that the brownie is super rich so enjoy this treat with a glass of milk as your disposal. I ordered a sample batch of this favors for my upcoming wedding. [...] I was pleasantly surprised by their size. They are equivalent to the size of a golf ball! They are super cute and taste delicious. I will be using them as favors for my wedding in June! I fell inlove with these as soon as I saw them! I just knew this was a must for the party favors at my wedding! All the reviews were extremely helpful! Couldn't have been happier with my choice! We ordered these pops for a 50th Anniversary. They were lovely and everyone raved about them. Wonderful service too and very very helpful. You won't be sorry ordering from the people at this company. Customer service is very important to them and we were very very pleased!! The picture does not do these brownies justice, they are quite big. The bride and groom detail is amazing, i almost didnt want to bite into them. I wanted to try the favors, so i decided on cutting one in half......after eating the most delicious brownie, not only did i finish the other half but I was trying to scrounge after anything my fiance may have left. These are a great purchase! We ordered these for our daughters wedding reception and they were a big hit. We alternated the bride and groom on each table setting. Everyone commented how great they were. We even froze some after the wedding and they are still great! These wonderful morsels of joy were that talk of the wedding. They were the perfect dash of elegance needed to set the tables off! After the wedding we received numerous phone calls asking "where we had purchased the brownie pops?" The taste was absolutely phenomenal! We will definitely purchase these again for a special event!!!!! "Life Changing" was the best compliment that we received when we chose these for our wedding favors! Of course I tried one too before the wedding and it was DELISH! Like a cross between brownie and fudge, with a kind of cheesecakie consistency. Practically everyone we spoke to LOVED them! I had read the reviews on this before we bought them and I thought it was funny how other people had said their guests were snatching them off other guests' tables and that is EXACTLY what happened at our wedding! So funny!!! We loved this favor!! Oh, and one note about the transporting of the brownie pops - we paid for the cold pack that you can get with them so they don't melt, which I believe was a good idea in Southern California. I also repacked them in the same box that they came in to take them from LA to San Diego for the wedding (along with the cold packs) and they were fine in 85 degree weather! Don't worry too much about them easily melting - they are pretty sturdy little things! Looks so pretty and the taste is great ... almost more like fudge than a brownie. Very pleased with this purchase! We ordered pairs of the bride and groom as wedding favors. [...] The pictures look great, but they are much better in person. They are going to add just the right touch to the tables for our reception. I showed them to someone in my office and they were surprised that they were ordered off the net and turned out so perfect. This was the perfect treat for our guests at my son's rehearsal dinner. Everyone thought they were just beautiful and delicious. I have to admit I wasn't sure how fresh this item would be but I was proven wrong. They were just wonderful. I am going to definitely purchase these again when my daughter marries this fall. The only thing that was wrong is that I didn't order enough. We used the brownie pops as favors at my daughter's engagement party. They were [...], and were adorable. Not only did they look good, but they were delicious as well! Great company to work with. My sister bought these for our wedding on January 9th. She used my shower as a testing ground for a lot of favors she was looking at. These are gorgeous, and not only that, they are delicious!!! I was very surprised, a lot of times when you buy really nice looking desserts they just don't taste as good as they look, but these are chocolaty, moist, just like a brownie except for the crusty part! These are consistently delicious party favors. They arrive quite fresh and yummy! Although more expensive than most favors, they are worth the cost. Great quality and trust me I am very picky. These favors are absolutely beautiful. Not only are they delicious, they are elegant and make any table setting look amazing. They [...] were absolutely yummy! They [...] stayed fresh. Many people asked where I got them. Of course, I forwarded the web address. Thanks. Will definitely use this favor again. For something different and beautiful, this favor is worth the price. We ordered a dozen just to sample them before ordering them for wedding favors. Everyone LOVED them and said get them for the wedding!!! They are packaged very nice also. We used these brownie pops as wedding favors. They were absolutely tasty and added an additional elegance to our table setting. Used these as favors for my Nov. 7, 2009 wedding. 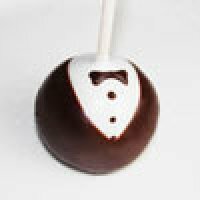 The men received the groom brownie pops and the women received the bride brownie pops. The pops are about the size of a golf ball and absolutely delicious. I was hoping some guests would accidentally leave theirs behind but no such luck. They were all gone! Many of the guests commented they had never seen these before so it turned out to be a unique tasty treat! The most perfect wedding favor. The talk of the wedding (besides the bride). Had people commenting a week later - wanting to know where we got them. Said they were the "cutest & best" favors they had ever seen or tasted. We used both the brownie and the blondie as wedding favors and they were a BIG HIT. Would order them again without hesitation. Our wedding guests loved these! We placed them at each person's seat at the reception. They were such a hit guests were snatching up any that were left sitting around! I ordered samples for a bridal shower and I loved them. They are larger than pictured and very detailed. The packaging was just as nice with the selected bow of my choice. I will be ordering 80 for the upcoming shower in February. Not only are the brownie pops adorable, they tasted great! They arrived right on time and were a big hit at the party. Big hit at the party as guests were leaving. Went perfect with our Reinventing the Brown Derby / Old Hollywood Glam theme. These brownie pops were the perfect favor for our October wedding - everyone commented that they were delicious!! They also served a dual purpose for us - we hot glued our place cards to the tops of them, making it easy for the wait staff to see the meal selected. I would definitely recommend these to any bride looking for a useful favor - who doesn't love brownies?!?!?!!! These were beautiful. Everyone was so impressed with how pretty and unique they were. The flavor was quite good too. Just be careful -- they tend to fall off the stick once you start eating them, but I'm not sure how that could be avoided! [...] they held up through a long car trip. great product! i am using this as the wedding favors at my wedding and i cant wait for my guests to see them. they are very rich and pretty sweet treats but sooo adorable! 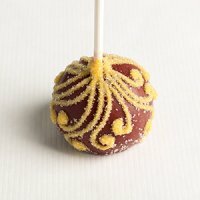 I purchased the brownie pops with the filigree design for the bridal shower favors. I gave them to all the girls with an extra for the spouses, including the bride and groom to be. 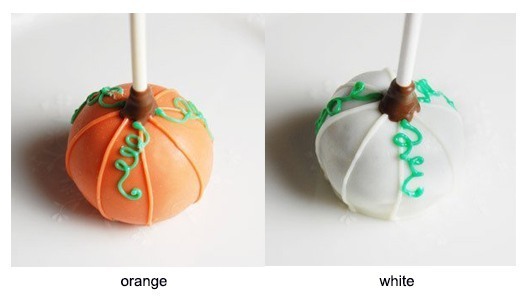 I did this to taste test the pops without anyone knowing before purchasing them for the wedding favors. I didn't want to pay the $$ for something that wasn't worth it. Everyone that tried them commented on how unique,delicious and AWESOME they were, including the bride and groom to be. All great reviews! Now I can't wait for them to see the pair of 'bride and groom' brownie pops as the favors at their wedding!!! Talk about unique!! And tasty too! We agonized over purchasing the brownie pops. They seemed relatively expensive for a "brownie" at first, but we're SOO happy we made the decision to buy.First, let me say that they're not super tiny. As someone mentioned,they're about the size of a golf ball, which makes them look elegant and well-made. Taste: The brownie is awesome. It's a smooth, fudge-like bite of chocolate goodness. My new hubby still doesn't like paying [$] a pop, but the fact that the guests enjoyed them so much helps him understand.Appearance: Besides their taste and uniqueness, the details really set these favors apart. You may not notice, for instance, that the bride wears a little pearl necklace and her dress dips down in front. Also, the groom's little tuxedo is so cute. There's a copy-cat version on a "marketplace" website, but you'll notice that the groom's buttons don't line up on his shirt,etc. ADVICE: The only downside is that we almost didn't have any to enjoy for ourselves. We were lucky that our family set some aside for us, so please do this for yourself. We had extras hidden and someone found them, so they were gone in a flash. We also think you should order the personalized tags. We thought we'd have time to make them, but didn't. Save yourself the trouble and just get the ones from Beau-coup with the personalized ribbon. We ordered the cookies and they went even faster because of the personalization. The reception tables looked beautiful with the added touch of the brownie pops.... Filigree design, milk chocolate taste best. I am getting married in March next year and looking for party favors. I order a dozen of the brownie pops to see if I liked them. OH YEAH! My family and co-workers loved them too! These brownies were just perfect! The designs on them were detailed and well done. The guests *loved* them. My only issue is that they were a bit too sweet for me - got a serious sugar rush. However, that is a tiny tiny complaint. They were amazing! We continued to get comments from guests about them way after the wedding. made an excellent wedding favor and the taste was outstanding. Everyone raved about them including the event planner. I would purchase these pops again! HIT! The kids and adults both loved the novelty of brownie pops- beautifully decorated and wrapped. These were the perfect favors at our wedding reception. They are cute, but still sophisticated. And the flavor and texture are excellent. They were very rich, but absolutely perfect for our wedding. The only thing that i thought was a little negative is for the "bride" pop some of the beading falls off but nothing to serious. I loved them and wish i bought extra, everyone grabbed them up quick. Our guests were delighted and impressed by the taste and presentation. Ultimate brownie taste and smooth icing. The detail work on the bride and groom pops are beautiful. It totally got everyone in the mood for the wedding ceremony the next day! [...] I ordered 60 pops. Didn't plan on spending that much on a dessert, but for this special occassion, it was well worth it! Thanks beau coup ... job well done! The bride and groom thanks you too! They were beautiful and tasted awesome. Just a tad on the small side, about 3 bites. [...] We ordered the bride and groom brownie pops. They were decorated so wonderfully. Really classy. And, man! Were they delicious! Rich, moist, like a chewy brownie. So good! Everyone loved them. I would totally order these again for another party. Top-notch favor. Trust me, because I am very picky! We ordered these for my bridal shower and everyone LOVED them. They were the perfect little edible favor and they actually tasted good too! I def. recommend! I bought this as a favor for my guests who were staying at the inn. (for my daughters wedding). I bought 3 for each guestroom. I used the bride and grooms initials and I got one of each flavor. Blondie for the bride, milk chocolate for the groom and dark chocolate for their new last name. It was a BIG hit. 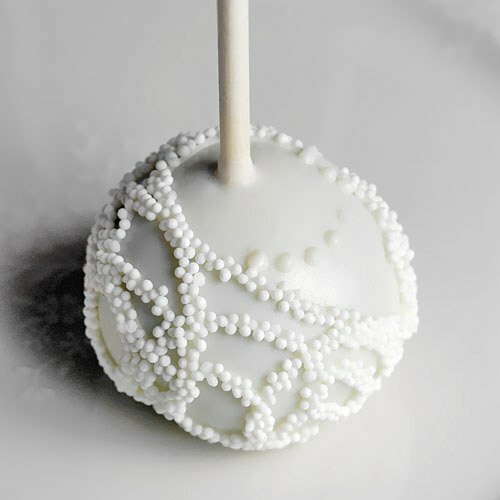 I ordered these deliciously adorable bride and groom brownie pops and they were a hit!! We also ordered another dozen with our monogram and mixed them all up for our wedding favors. I was hesitant to order my wedding food through the internet, but Beau Coup really did deliver exactly what they promised... which is rare nowadays with companies. The brownies not only looked perfect, but they tasted great!! If you are a bride looking for something different at your wedding, these are well worth the investment for the taste, quality and service you receive! The brownie pops were delicious. They arrived on time and in perfect condition. We used them for wedding favors and got a lot of compliments. However I would not recommend the blondie flavor. If I ordered them again I would stick with the brownie flavor. I ordered these for my best friends bridal shower and they were a huge hit! I received a ton of inquires on who made them. I used these as favors for my daughters first birthday party. They were a huge hit. They were so moist and delicious, better then any brownie I could ever make. Brownie Pops were absolutely amazing. They looked beautiful and were yummi. Beau-coup staff took my order over the phone (I needed it rushed) and they went above and beyond to get it to me on time! These were placed at each place setting at the reception. I got alot of comments on how unsual they were and alot of questions on where to find them! I did both the blonde and chocolate brownie. The overwhelming response was the chocolate brownie was the "best"! At the end of the evening, any remaining ones on the table were scooped up to share with family and friends. Perfect product - larger than I expected and absolutely adorable !!! They were the hit of the wedding rehearsal dinner. And, they tasted great!! Worked great as our wedding favors. Everyone loved them and they were very tastey! We gave these out as wedding favors and also displayed them at the dessert table. They were packaged perfectly and looked great. Our guests loved them and many asked where I bought them. Brownie pops are original and very tasty! 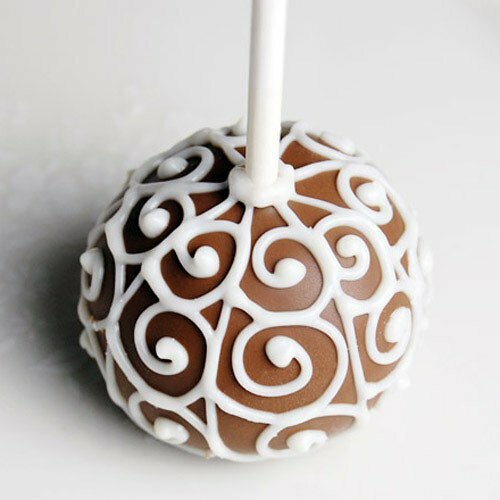 i used these favors for my wedding,i had ordered the filigree ones that were white chocolate base with the milk chocolate design and they were not only beautiful but they were delicious too, and everyone loved them, very unique. they were alittle on the pricey side but worth every penny! they are bite sized about the size of a golf ball but they are very filling, eating one will fill you up. if you are thinking about useing these for a wedding or shower, its a great favor and its different too!! I used these as wedding favors. They were delicious and delivered when promised. I also liked how they came pre-wrapped so all I had to do was set them out. They were a little smaller than I expected based on the picture, but other than that everything was great. We placed the brownie pops at each place setting as part of the table decoration. It added an extra something special. Everyone enjoyed them. Some people ate the pops right away and others took them home for later. The talk of the party! These pops were a hit! We bought them as a favor, to give to guests at a 50th Birthday party. The guests raved about them! This was my first order, and I worried about them getting from California to New Jersey. Beau-coup's customer service was very courteous and helpful. They made sure I got my favors on time for the birthday party. [...] When I added your personalized tag, it completed the whole favor and made it very special. I used these as favors for a bridal shower and the guests adored them. They make a beautiful display and are so wonderfully decorated that the guests admire them up close! They taste delicious as well. I had to rush them but the staff made sure they arrived in time for the shower. Wonderful as a favor! These looked beautiful on the table at my parents 50th Wedding Anniversary. They were absolutely delicious too! We were interested in using these as favors so we made a minimum order to see if we liked them. My fiance loves the way the groom looks, but I like the way the bride tastes it has a crunchy texture. They are really fantastic and larger than we thought the would be. Will be order more. 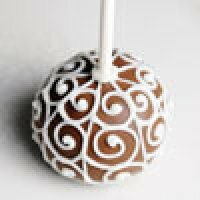 I bought these to give as favors for my daughters christening.I ordered the filigree, scrolls and flowers.Everyone loved them,they where a big hit.They arrived fresh and safe in a very secure carton.I'm so pleased with this brownie pop the only thing I regret was that I should have ordered more!! This was perfect for a wedding reception. First, it tastes very good and second, it looks great! I used both the bride and groom. Lots of people remarked on how good the favors were. These were such a big hit! We were looking for a unique gift for special people at our vintage wedding. The vintage lollipops were so perfect and our guests were delighted by such a beautiful token! Used the brownies as gifts for Secretaries at work, they were WOWed, as well as for gifts to friends. 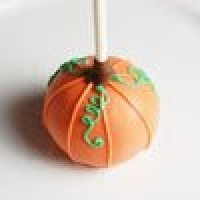 I purchased these brownie pops as dessert for my rehearsal dinner.[... ]we taken to the dinner-and everybody loved them! Several people told me how good they tasted too. Very cute-but pricey! Wonderful addition to our wedding! We had a very small wedding (12 people total including us!) and these individual pops were perfect. We had these instead of a wedding cake and they were a distinct hit! Everyone thought that they were not only really cute, but they were yummy too! did i mention they were tasty too! Q:If I order them in pairs are they paired nicely and ready to be given away? A:Each item is individually wrapped in cello bag with ribbon and ready to be given away upon delivery. Q:If I purchase 6 pair of them, it will shipping 6 same pair pops or 6 different pairs? I want to have different one, is it possible? A:When you purchase a "pair", it will automatically be the bride and groom design. If you wish to purchase different designs, you will have to order them as "single" with a minimum of 12 pops per design. A:For this item, we suggest to store them in room temperature. Example: Pantry. A:Brownie pops are not kosher or parve. Q:If I order them today 8/31 and my wedding is not until 11/12/11 will you send it closer to my wedding date or would you send them out now? A:You can select a delivery date when ordering these pops. Q:These are adorable, but I was wondering how long are they good for? My wedding is in November can I buy some now for that date and have it shipped later so it's fresh? 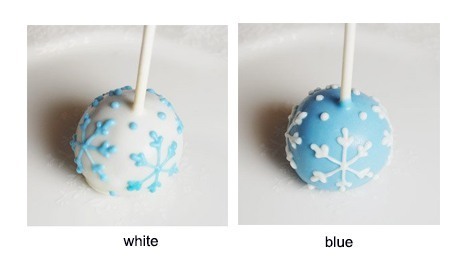 A:You can purchase the Mini Wedding Brownie Favor Pops now and enter a desired delivery date in the purchase options in order to receive them at a later date. Please note that delivery dates are only Tuesday-Friday. Q:If I want 50 each of the bride and groom designs (single packaging), do I have to order them separately? A:Yes, you would need to order them separately. You could add the grooms to your cart, then come back and add the brides. A:Our main office is located in Mountain View, CA. We are an online company and we do not have suppliers in the UK. Q:Can I order a sample pair before purchasing full quantity for bridal shower? A:We are not able to provide samples of edible products. Many customers purchase the minimum quantity for a test run. Please also check out our customer reviews for this item. Q:What is the shelf life of these brownie pops? A:Brownie pops have a shelf life of 2 weeks. The shelf life for this item is 2 weeks. Please note that this item can only be shipped via 1-Day or 2-Day Shipping. Please note Tuesday deliveries will only be accepted with 1-Day Shipping service. Please select the $20 cooler fee for all orders being delivered between April 15th and September 30th. Now here's a marriage made in heaven. 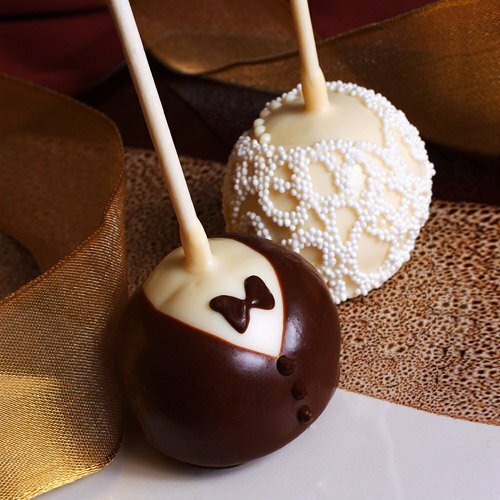 These delicious wedding favor pops feature an intricate, eye-catching chocolate coating and a blissfully delicious brownie center—it's the perfect pairing of style and flavor. Cheers to the happy couple! The bride is dressed in white chocolate with candy pearls and a delicate lace bodice made of white nonpareils; the groom is resplendent in a milk chocolate tux and tie with a white chocolate shirt. Each round gourmet wedding favor contains a fresh-baked brownie center. 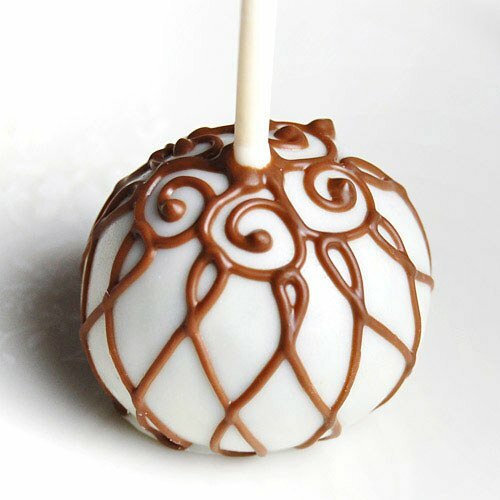 For filigree, scrolls and vintage designs choose a chocolate base and detailing to create your own heavenly blend. Measures approximately 1.75" diameter, 4.88" high (including the stick). These scrumptious wedding favors arrive wrapped in a cellophane bag with an organza bow (packaged either individually or as a pair). Choose from a variety of ribbon colors. Personalized wedding tags sold separately. Please see our holiday brownie favor pops for fall and winter designs or our exclusive monogrammed brownie favor pops for a personalized touch.